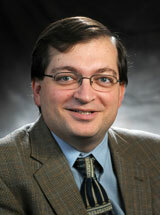 Dr. Hadjiliadis is employed by Penn Medicine. Nyirjesy, Sarah C., Sheikh, Saba, Hadjiliadis, Denis, De Leon, Diva D., Peleckis, Amy J., Eiel, Jack N., Kubrak, Christina, Stefanovski, Darko, Rubenstein, Ronald C., Rickels, Michael R., Kelly, Andrea: beta-Cell secretory defects are present in pancreatic insufficient cystic fibrosis with 1-hour oral glucose tolerance test glucose >= 155 mg/dL pediatric diabetes 19 (7): 1173-1182,2018. Aguilar, Claire A., Hamandi, Bassem, Fegbeutel, Christine, Silveira, Fernand P., Verschuuren, Eric A., Ussetti, Pietat, Chin-Hong, Peter V., Sole, Amparo, Holmes-Liew, C., Billaud, Eliane M., Grossi, Paolo A., Manuel, Oriol, Levine, Deborah J., Barbers, Richard G., Hadjiliadis, Denis, Singer, Lianne G., Husain, Shahid: Clinical risk factors for invasive aspergillosis in lung transplant recipients: Results of an international cohort study journal of heart and lung transplantation 37 (10): 1226-1234,2018. Hong, Gina, Psoter, Kevin J., Jennings, Mark T., Merlo, Christian A., Boyle, Michael P., Hadjiliadis, Denis, Kawut, Steven M., Lechtzin, Noah: Risk factors for persistent Aspergillus respiratory isolation in cystic fibrosis journal of cystic fibrosis 17 (5): 624-630,2018. Stephen, Michael J., Long, Alex, Bonsall, Chad, Hoag, Jeffrey B., Shah, Smita, Bisberg, Dorothy, Holsclaw, Douglas, Varlotta, Laurie, Fiel, Stan, Du, Doantrang, Zanni, Robert, Hadjiliadis, Denis: Daily spirometry in an acute exacerbation of adult cystic fibrosis patients chronic respiratory disease 15 (3): 258-264,2018. Courtwright, Andrew M., Zaleski, Derek, Gardo, Lisa, Ahya, Vivek N., Christie, Jason D., Crespo, Maria, Hadjiliadis, Denis, Lee, James, Molina, Maria, Patel, Namrata, Porteous, Mary, Cantu, Edward E., Bermudez, Christian, Diamond, Joshua M.: Causes, Preventability, and Cost of Unplanned Rehospitalizations Within 30 Days of Discharge After Lung Transplantation transplantation 102 (5): 838-844,2018. Carrion, Andres, Borowitz, Drucy S., Freedman, Steven D., Siracusa, Christopher M., Goralski, Jennifer L., Hadjiliadis, Denis, Srinivasan, Saumini, Stokes, Dennis C.: Reduction of Recurrence Risk of Pancreatitis in Cystic Fibrosis With Ivacaftor: Case Series journal of pediatric gastroenterology and nutrition 66 (3): 451-454,2018. Hamandi, B., Fegbeutel, C., Silveira, F. P., Verschuuren, E. A., Younus, M., Mo, J., Yan, J., Ussetti, P., Chin-Hong, P. V., Sole, A., Holmes-Liew, C. L., Billaud, E. M., Grossi, P. A., Manuel, O., Levine, D. J., Barbers, R. G., Hadjiliadis, D., Aram, J., Singer, L. G., Husain, S.: Voriconazole and squamous cell carcinoma after lung transplantation: A multicenter study american journal of transplantation 18 (1): 113-124,2018. Hong, Gina, Lechtzin, Noah, Hadjiliadis, Denis, Kawut, Steven M: Inhaled antibiotic use is associated with Scedosporium/Lomentospora species isolation in cystic fibrosis. pediatric pulmonology : 2018. Kelly, Andrea, De Leon, Diva D, Sheikh, Saba, Camburn, Devaney, Kubrak, Christina, Peleckis, Amy J, Stefanovski, Darko, Hadjiliadis, Denis, Rickels, Michael R, Rubenstein, Ronald C: Islet Hormone and Incretin Secretion in Cystic Fibrosis Following 4-months of Ivacaftor Therapy. american journal of respiratory and critical care medicine : 2018. Law, N., Hamandi, B., Fegbeutel, C., Silveira, F., Verschuuren, E., Ussetti, P., Chin-Hong, P., Sole, A., Holmes-Liew, C. -L., Billaud, E., Grossi, P., Manuel, O., Levine, D., Barbers, R., Hadjiliadis, D., Singer, L., Husain, S.: Clinical Risk Factors for Bronchiolitis Obliterans Syndrome (BOS) in Lung Transplant Recipients (LTRs): Results of an International Cohort Study american journal of transplantation 17 (3): 288,2017.